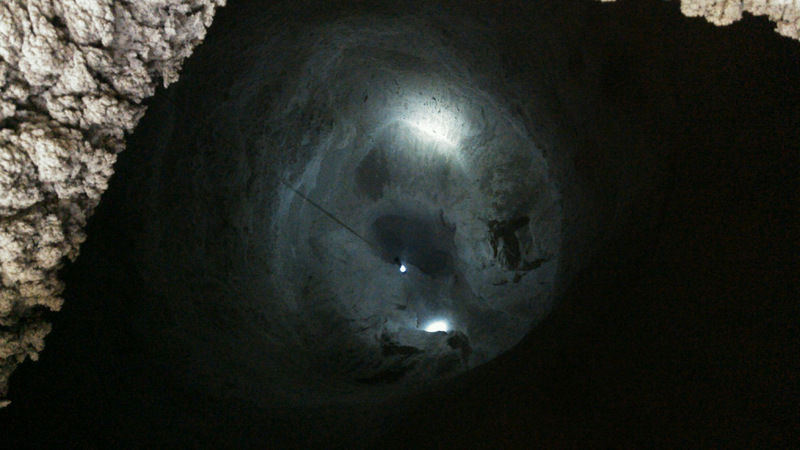 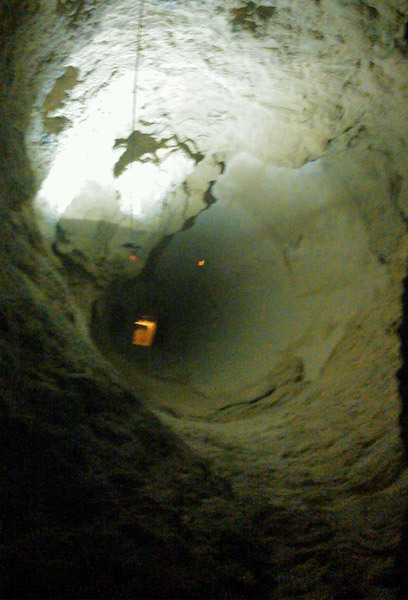 Top down view of Slag silo wall build up and build up in bottom of cone. 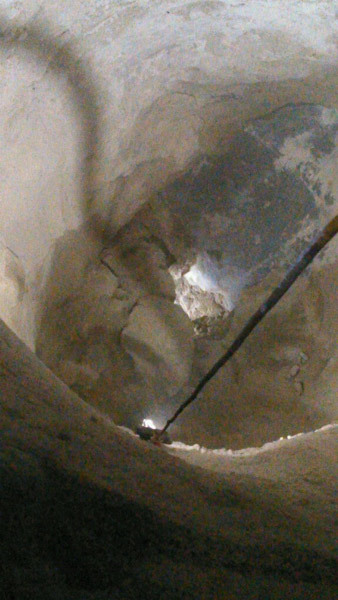 Top down slag silo day bin, build up on the walls 6-7 ft thick. 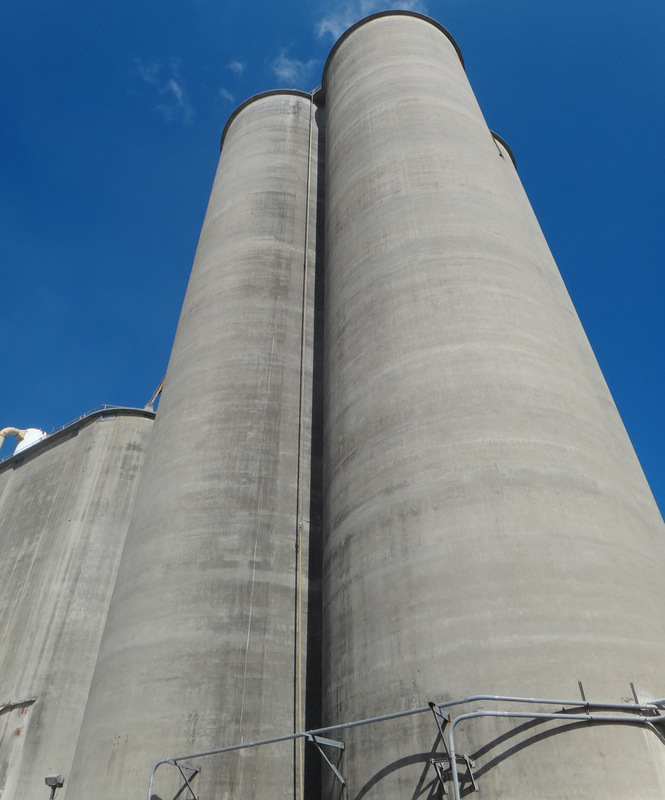 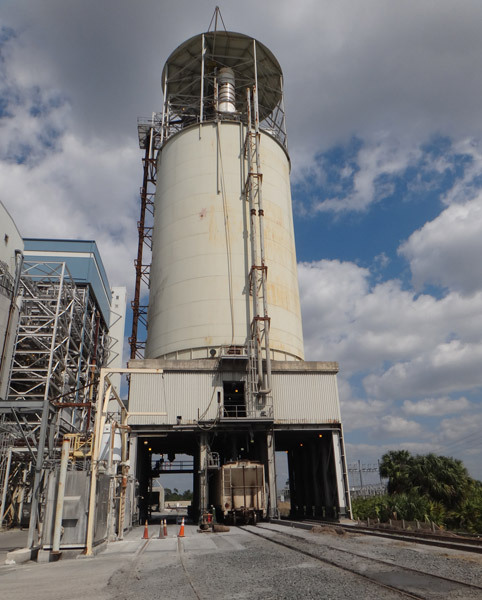 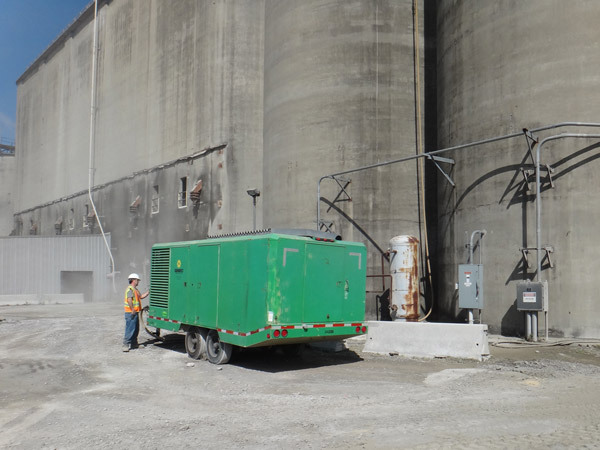 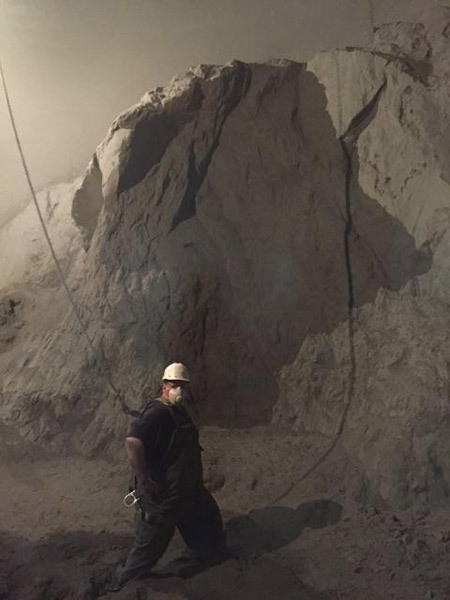 50' x 93' steel fly ash silo that contained 1,500 tons of harden fly ash. The silo was completely cleaned to the top of the bin storage floor. Cement storage silo with temporary airline installed from grade to roof to run The Boss silo cleaning machine. 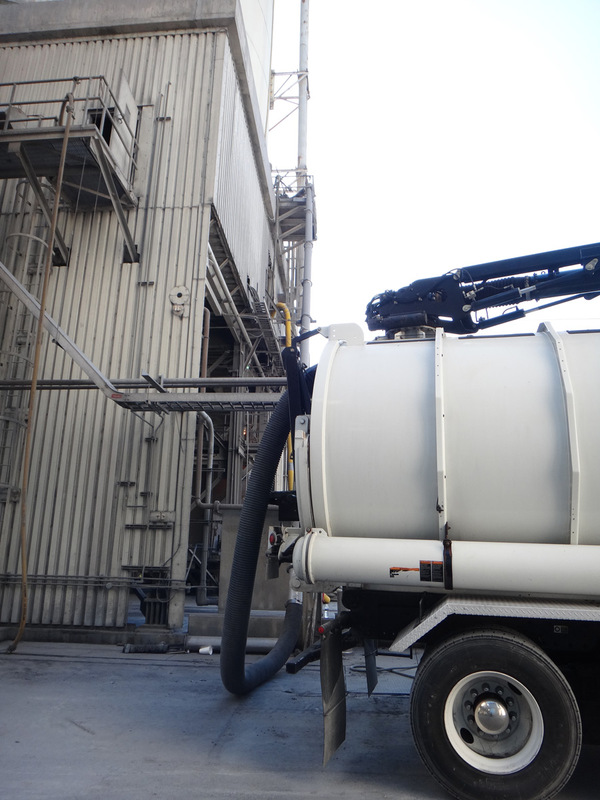 Air compressor to run The Boss silo cleaning machine. 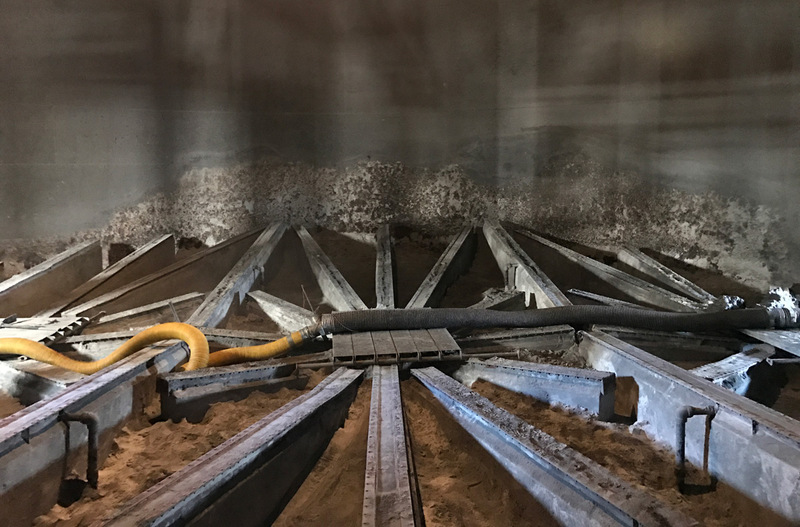 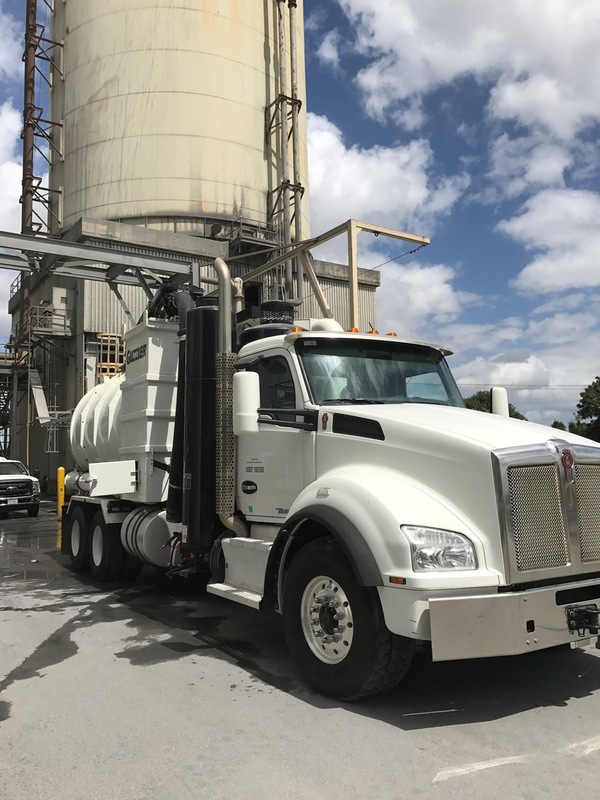 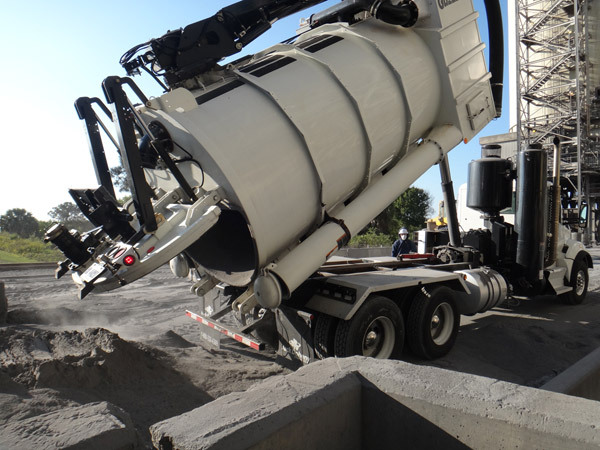 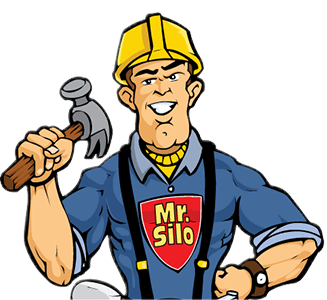 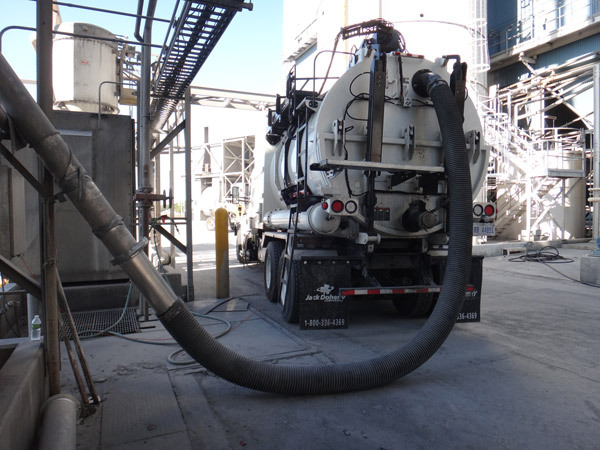 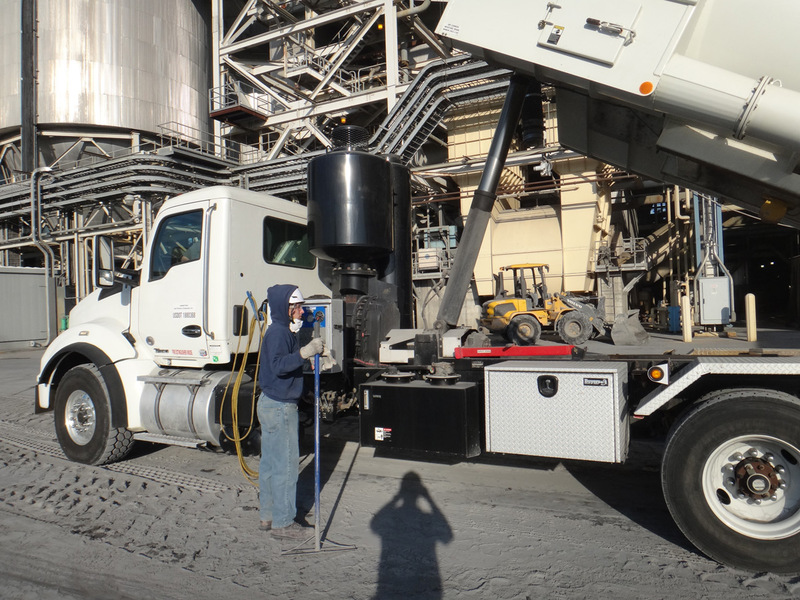 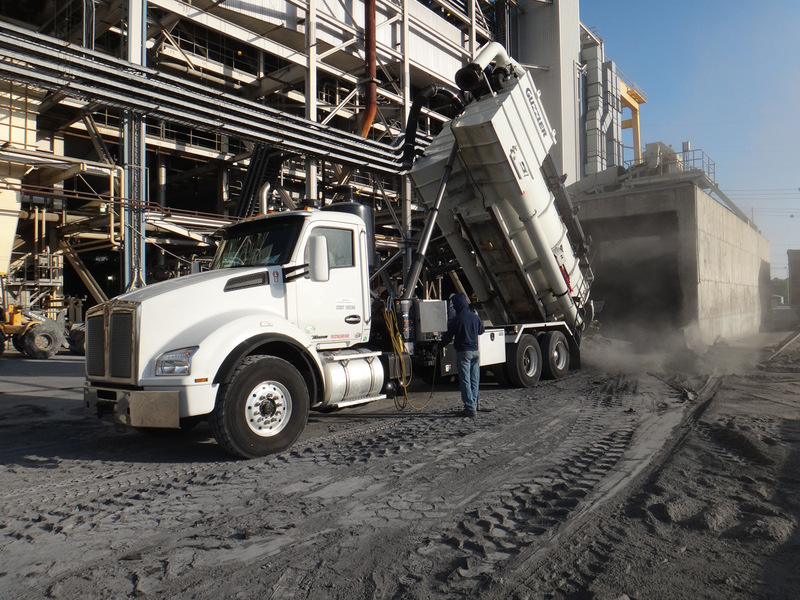 USA Silo Vacuum truck service is capable of vacuuming up material and moving it to where you need it. 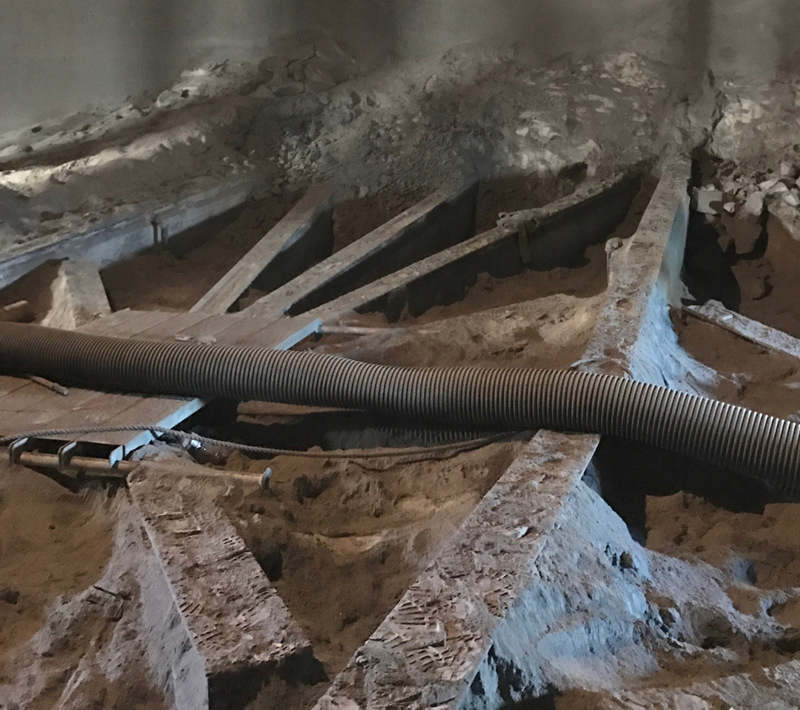 Bolders of harden fly ash lodged in bottom of silo discharge, resulting from hot ash being pumped into the silo. 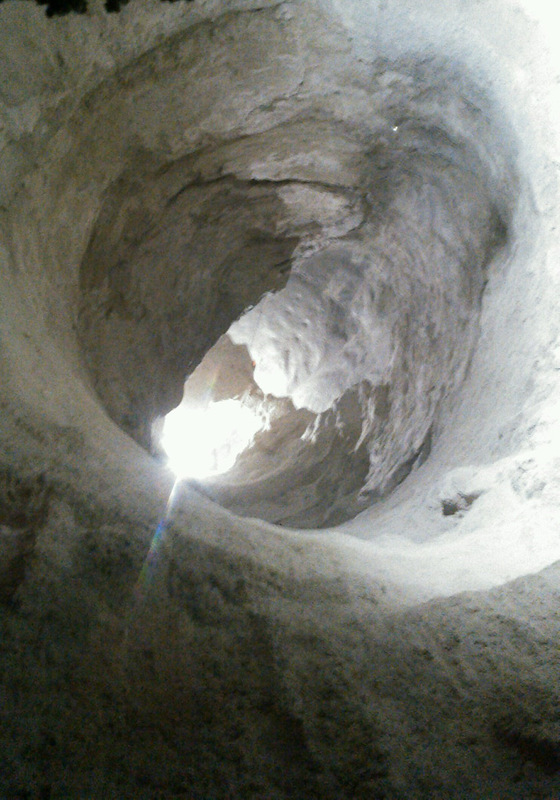 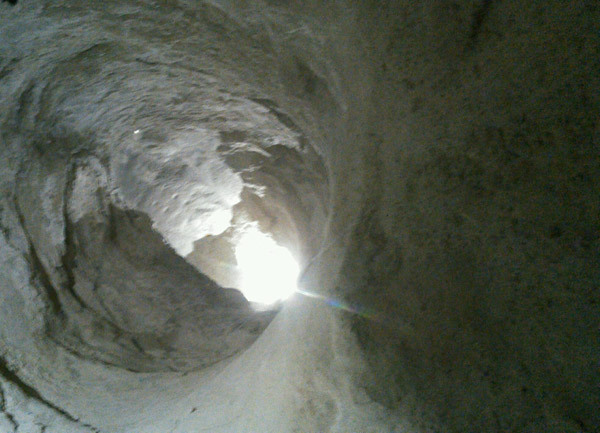 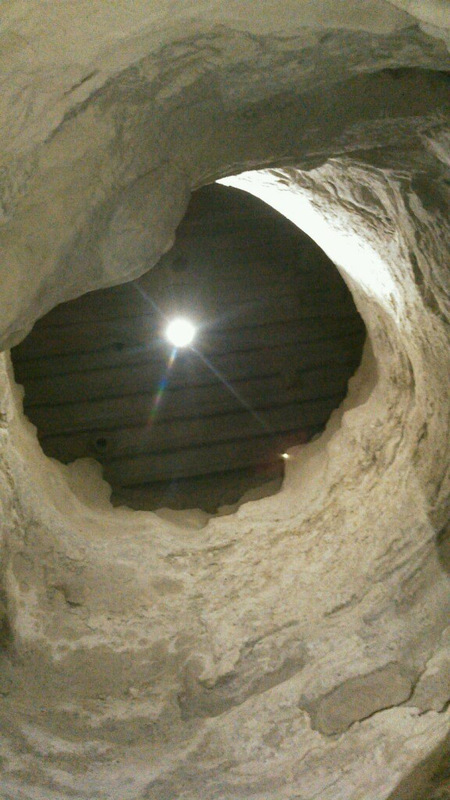 Cement silo looking top down prior to cleaning. 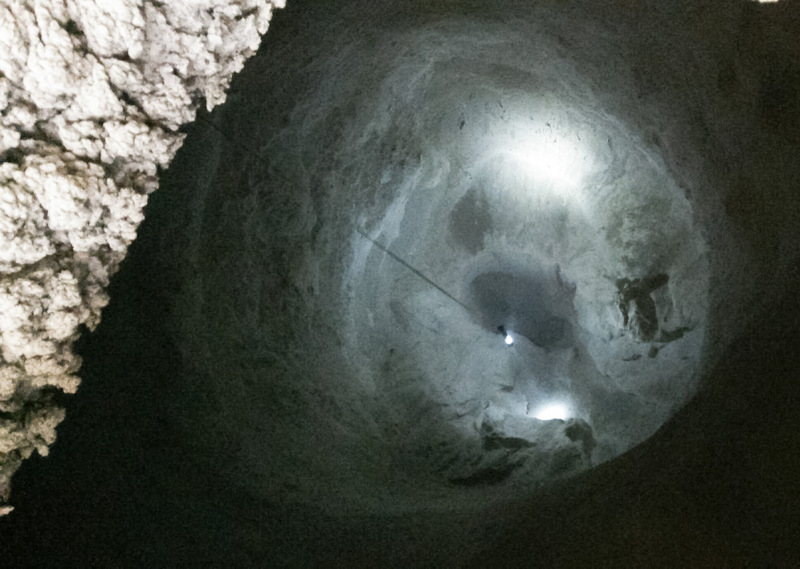 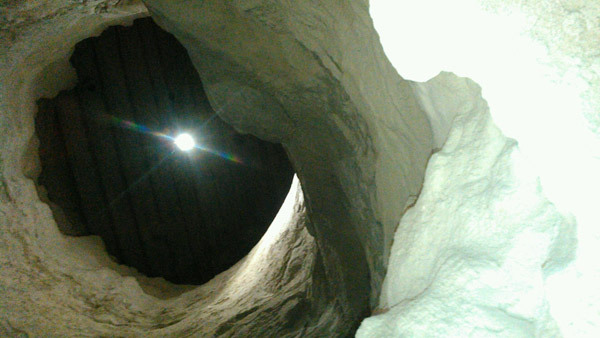 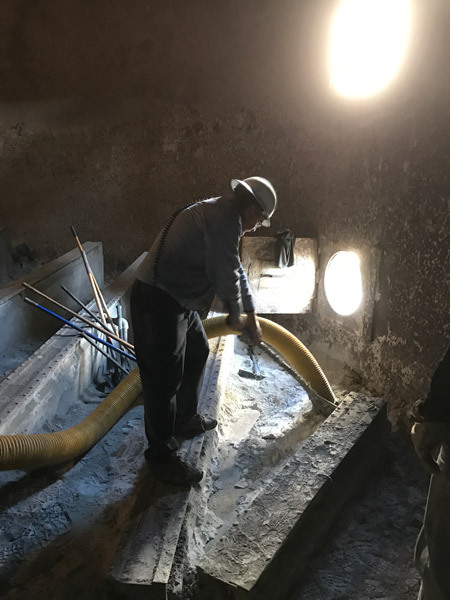 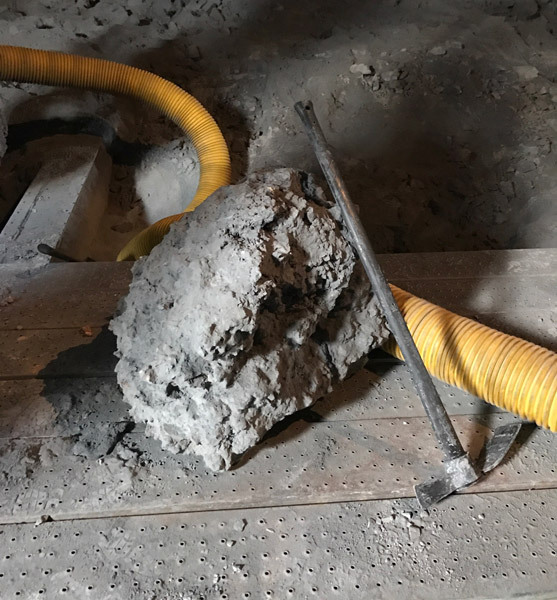 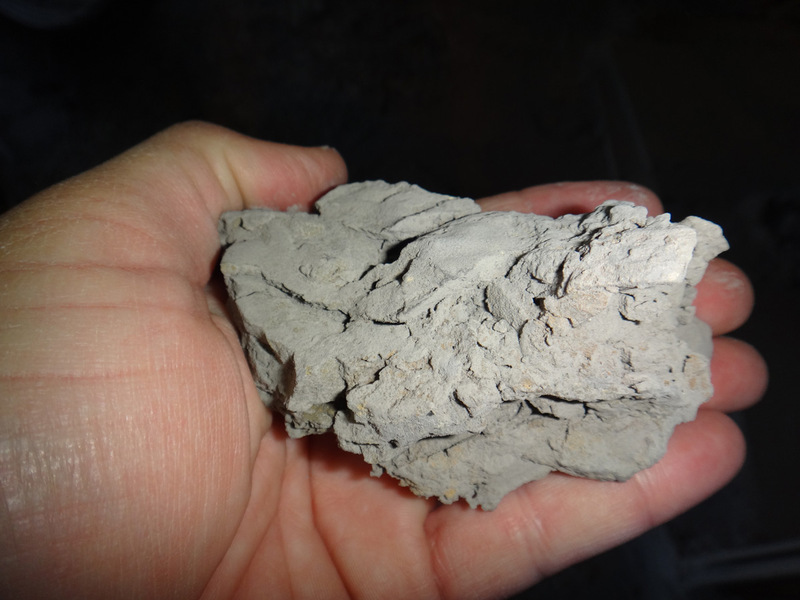 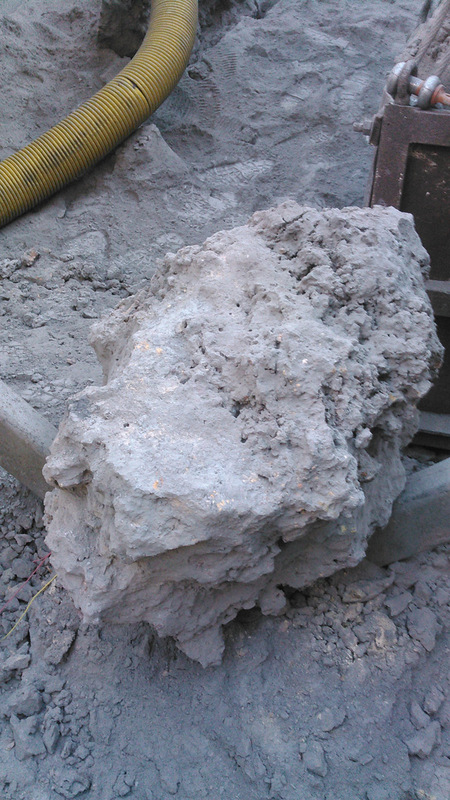 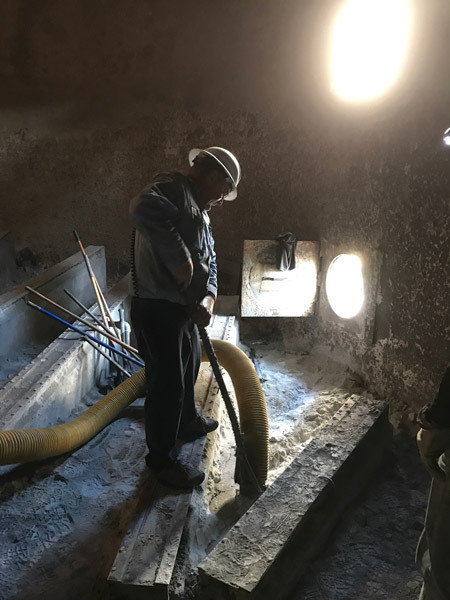 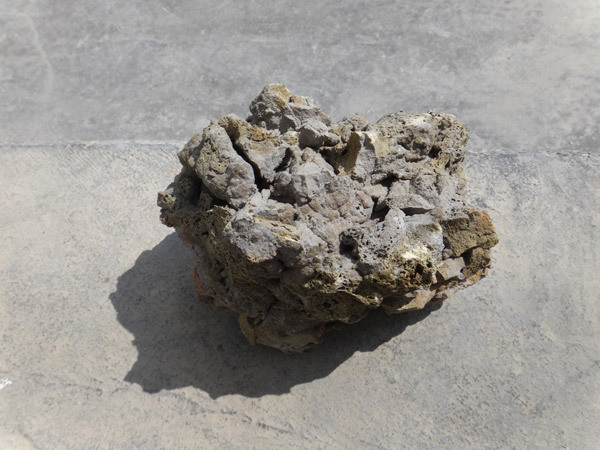 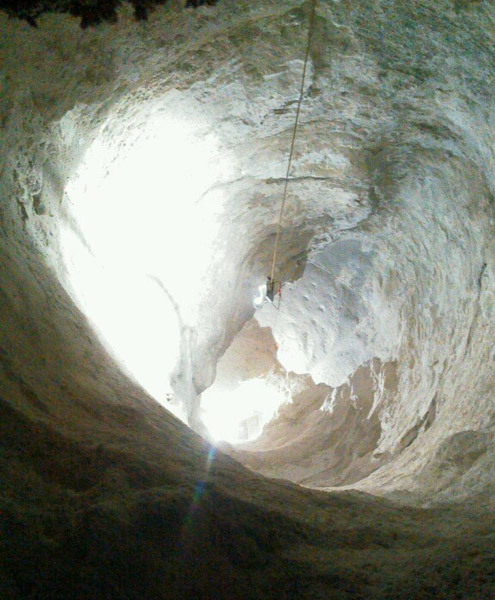 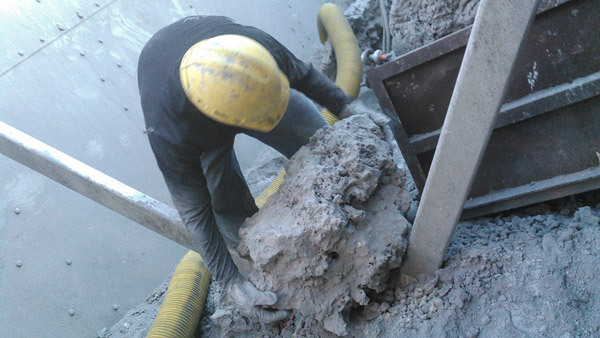 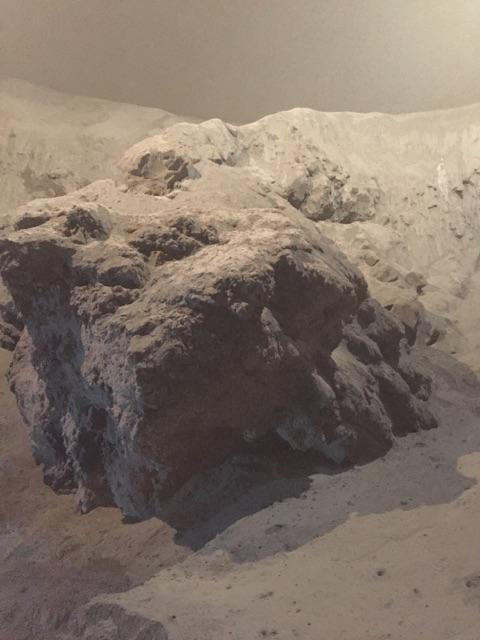 Chunks of hardened cement are from moisture from a leaking silo roof.